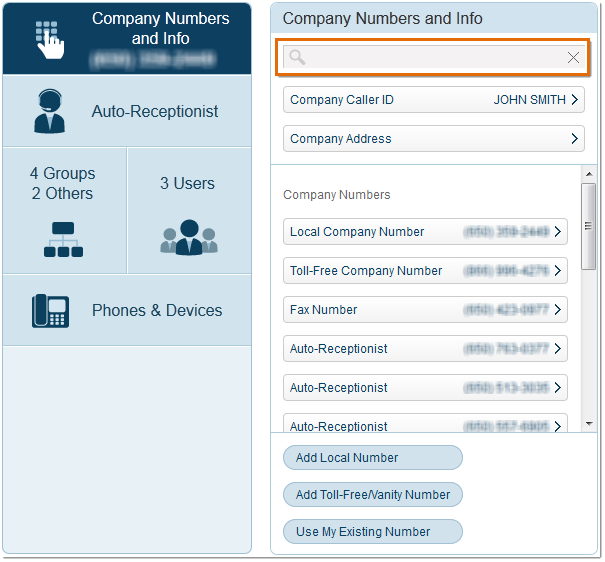 Enterprise Large List is a feature on your Office@Hand account that allows you to easily find specific users, company numbers, phones and Group members. This article will guide you on how to use the search function of your Office@Hand account. NOTE: This is also available in the Office@Hand mobile app. In the Company Numbers and Info tab, you can search phone numbers, phone number by username, and phone numbers by extension. 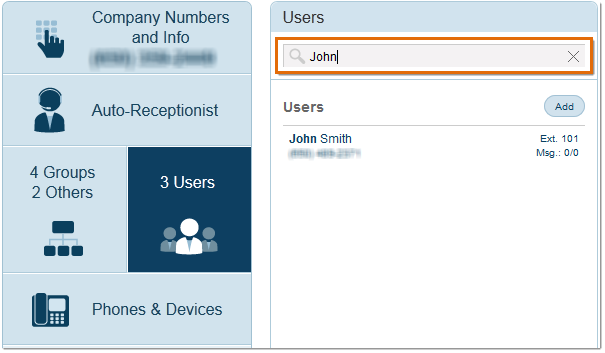 In the Users section, you can search extension users by their first name, extension, and direct number.